Remove virtually everything including lead from your water for clean and safe drinking water. Regardless of what some detractors of RO say, you will not notice an increase in your water bill ! Fast Flush Feature. 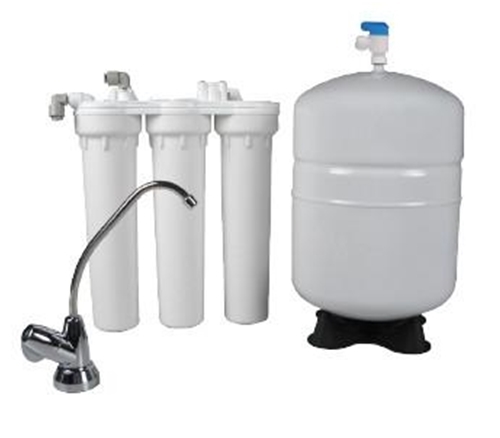 Complete System Includes Tank, Faucet & Installation Kit. Easy Change Filters. Complete System Includes Tank, Faucet & Installation kit. AffordableWater.us offers both a five-stage reverse osmosis drinking water systems as well as the Microline brand. Equipped with all the parts need for easy installation, you will have excellent quality drinking water in no time. The reverse osmosis drinking water system is everything you need to ensure you have clean, safe drinking water for your home. 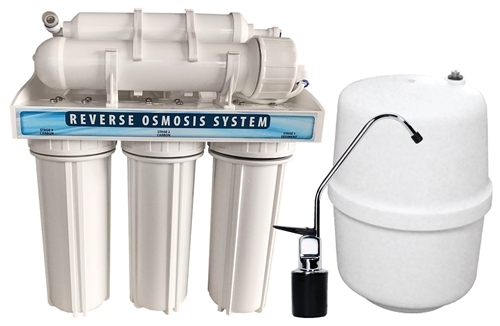 The technology behind the reverse osmosis filtration system includes a membrane and multiple filter system that works to remove nearly all of the contaminants from your water. Get your reverse osmosis system today and start purifying your home drinking water!